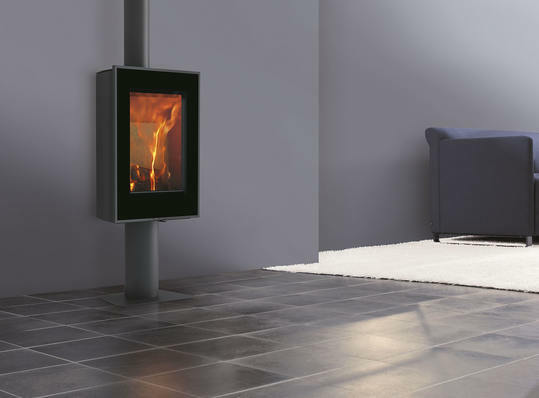 The Carbel Vision is highly efficient, portrait orientated, woodburning stove allowing you to see the full natural height of the flames. We start with the Vision stove body itself. This can be sat on a big slab of stone, on a hearth, or on a metal bench. Add a wall bracket to create the Vision Suspended which hangs from a wall. Choose a pedestal leg to make it a taller freestanding stove. Or for another freestanding version pick the full-width rear stand version.